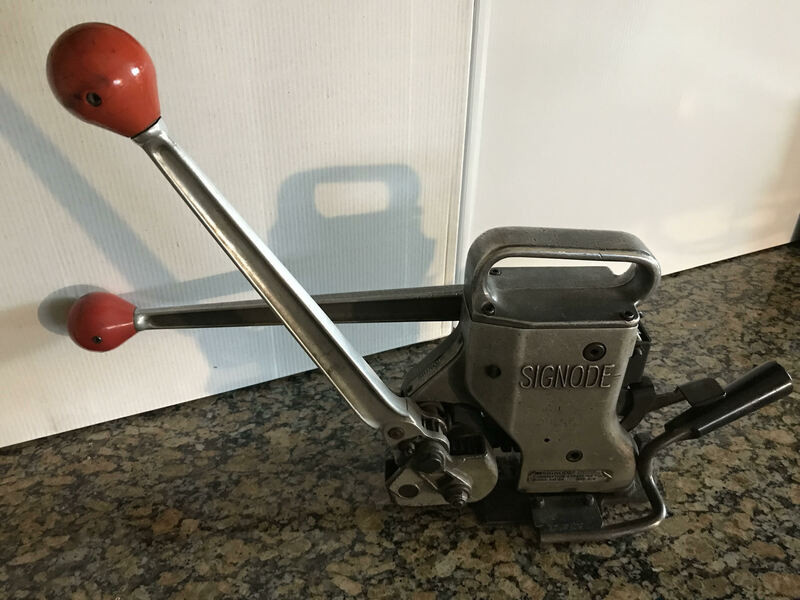 Signode AM-58 Manual seal-feed combination strapping tool can function as a cutter, tensioner, and sealer, saving you both time and money. This manual steel strapping tool is made to be used with 5/8 in steel strapping. Since combination tools are quite heavy, this tool must be placed into position before use. The AM 58 combination tool also posses a magazine for easy seal loading. Tensioning and sealing functions require minimal effort, reducing operator fatigue.